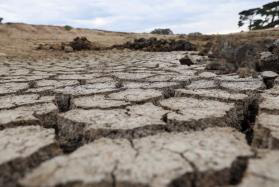 The Opposition will not back legislation to establish the Coalition's Future Drought Fund, labelling it a "Nationals slush fund". Instead Labor says it would fund a drought response through a different funding model, if elected. Deakin University is undertaking research on behalf of the Australian Bureau of Statistics (ABS) to provide advice on the improved collection of agricultural information. Of particular interest is an understanding of farm owner’s/manager’s experience in the completion of the 2016 ABS Agricultural Census and more recent ABS surveys, and input from growers from Queensland, South Australia and Victoria. Grower input involves a confidential telephone interview with researchers from Deakin University. The session takes 30-45 minutes and a mix of times are available. Stepping out: people entering vineyards for Forage will be required to stand in water baths for one minute. Photo: Danielle Cetinski. 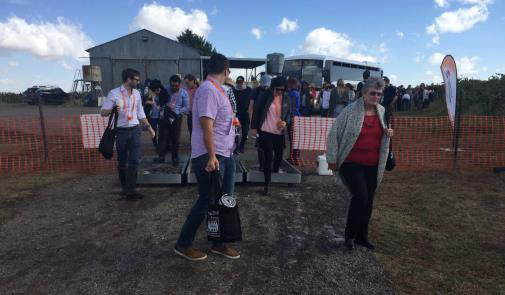 Tough measures including making all people attending the key FOOD Week event Forage stand in a water bath for one minute have been introduced amid biosecurity fears. People will also be asked not to wear any clothing they have worn while visiting a vineyard, particularly in Victoria, in the past seven days. A positive trend – and a topic all growers need to think about in our efforts to protect our industry from the threat of Xylella fastidiosa. Got something to sell, or want to buy? You can reach your target market directly with Olivebiz Classifieds. 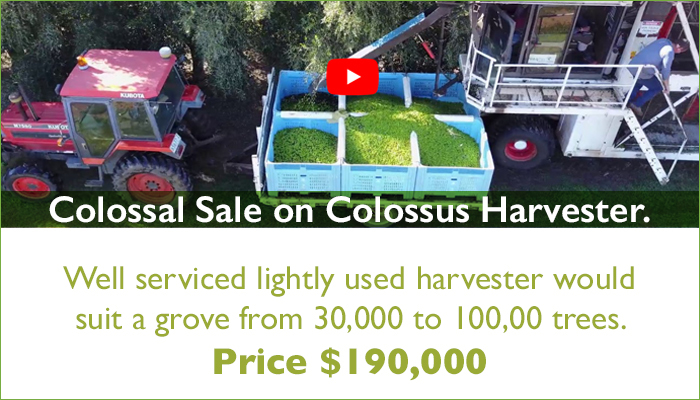 If you’ve got something industry-related to sell, our online Classifieds service is an easy and inexpensive solution to advertise your unwanted equipment, extra oil - or even your grove. Like Andrew, who’s looking for food grade EVOO for high quality soap making. And if there’s something you’re looking for, it’s the ideal way to get the message out loud and clear to your peers and industry associates. The State Government has declared war on the Loxton Queensland fruit fly outbreak with the release of millions of sterile flies beginning this week in a major assault to get rid of the pest. The on-ground attack in the outbreak area at Loxton will involve release of sterile flies produced at the Port Augusta based National Sterile Insect Technology (SIT) facility. While not a major pest for our industry, fruit fly does cause damage to olive fruit, so all control measures are good news. Australian natural beauty brand Olieve & Olie is looking to expand overseas and is setting its sights on the Chinese market, on the back of rising demand from tourists. Read down to the comment about the Chinese demand for ‘Australian grown’ and ‘high-quality’. Hort Innovation's strategy consultation workshops continue – don't miss a workshop in your region! Make sure you get along to one of the remaining workshops to share your ideas and insights how Hort Innovation can support better alignment between the needs of the sector as a whole and the strategic direction of the company. 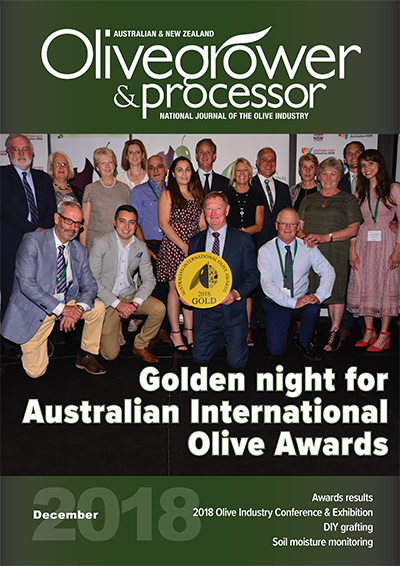 Full details and download entry forms on the HOA website: www.hunterolives.asn.au. 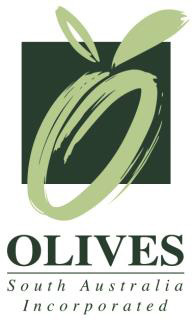 Olives SA Tasting Course – last places left, book now! The New Zealand AGM will be held on Saturday, 23 March at the Carterton Events Centre, Carterton. Final date for receipt of remits is 22 February, with voting papers for remits issued to all members by 25 February and AGM Agenda and papers to all members by 8 March. The AGM is preceded by the Wairarapa Focus Grove Field Day on Friday, 22 March and will be followed by a shared lunch at the Swan Hotel, Greytown. 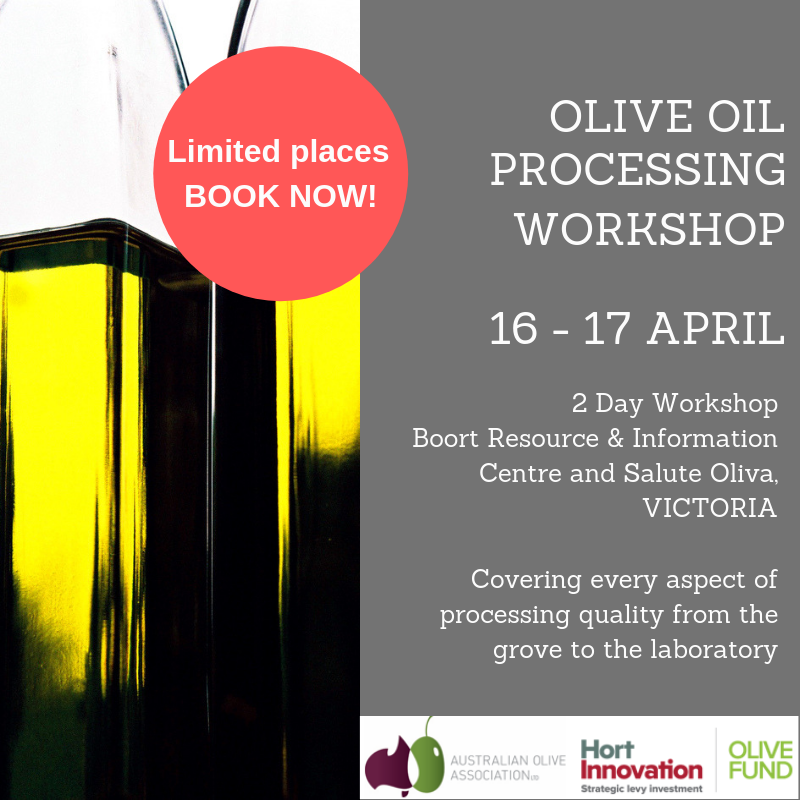 Cost is $40pp: please pre-book by March 8 with the Executive Officer – admin@olivesnz.org.nz. 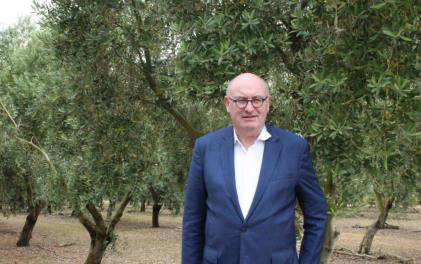 The European Commissioner for Agriculture and Rural Development, Phil Hogan, at Leafyridge Olives in Gladstone. Photo: Gianina Schwanecke. In supermarkets across Europe you’ll find New Zealand grown beef and lamb, kiwi wines, dairy products and New Zealand-produced olive oil. Nestled among rows of freshly-pruned olive trees outside Gladstone on Friday, members of a European Union trade delegation made their way through one of Wairarapa’s largest olive groves as part of a national tour of New Zealand agricultural and horticultural producers. Olive oil and the Mediterranean Diet took center stage at the Healthy Kitchens, Healthy Lives 2019 event in California. Organized by the Culinary Institute of America and the Harvard T.H. Chan School of Public Health, it is held annually in Napa Valley and brings together doctors, nutritionists, nurses, chefs and other healthcare professionals. 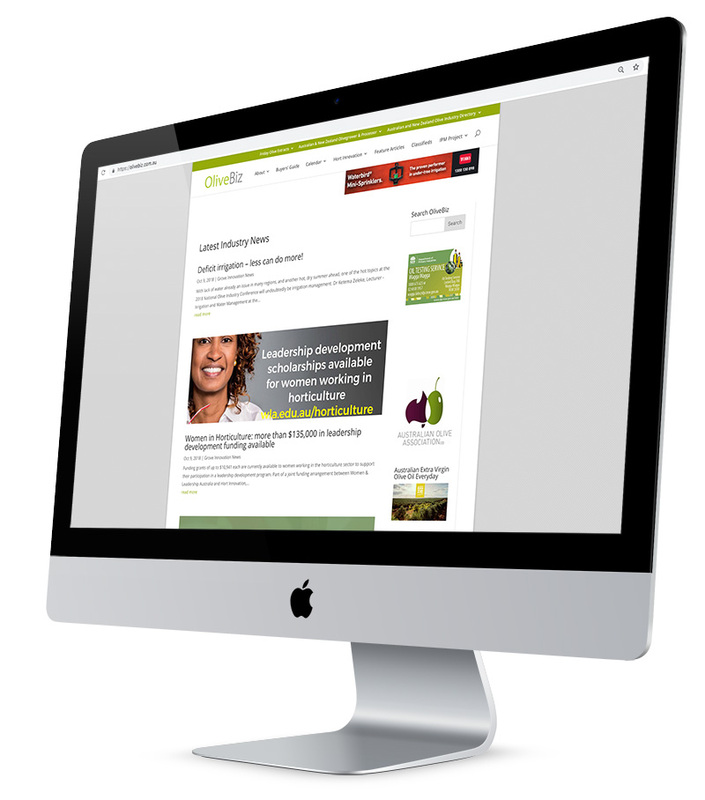 The Olive Wellness Institute is doing great work like this with health professionals in Australia. Find out more here . Olive oil is on the rise in Spain’s Canary Islands. Over the past decade, olive grove surface area grew by 243%, increasing from 254 acres in 2011 to 872 acres in 2017. Of interest is the strong focus on regional and varietal traits, increasingly becoming a marketing tool for our industry. As consumers around the world become more familiar with extra virgin olive oil and its many health benefits, Spanish olive oil producers are watching their revenues rise. In fact, over the last decade, they have doubled to 12 million euros, according to diariodegastronomia.com. They look great, but do they taste great? Five experts looked into it. Photo: Melissa Hom. As with all things in life, it is now possible to buy olive oil that’s optimized for Instagram. New companies with an emphasis on high-design bottles have flooded the market with oils that, yes, can be added to a vinaigrette, but that will also look great sitting on your countertop. 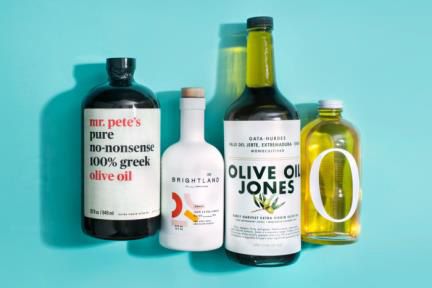 While these bottles are undoubtedly pretty, Grub Street wanted to know if the olive oils inside were actually any good. Why we need to continue educating consumers that it’s what’s IN the bottle that counts! As reported by FORTUNE online, Italy’s olive growers this year were hit hard by an early cold snap and freak rains, an insect-transmitted bacterium. With artisanal varieties commanding upwards of $50 a bottle, olive oil can be considered a luxury item. And now bad weather conditions affecting olive harvests may push the prices even higher. The total yield in all types of southern fruit and olives increased in Bosnia and Herzegovina in 2018 compared to the previous year. According to data from the Agency for Statistics of BiH, the production of figs in 2018 was 893.5 tons (11.6 kg per tree), which is 31.8 percent higher than in the previous year. At the same time, yield of olives was more than doubled and in 2018 it was 610.3 tonnes or 9.4 kg per tree. Good to see a report of increased yield among those of harvests lost.